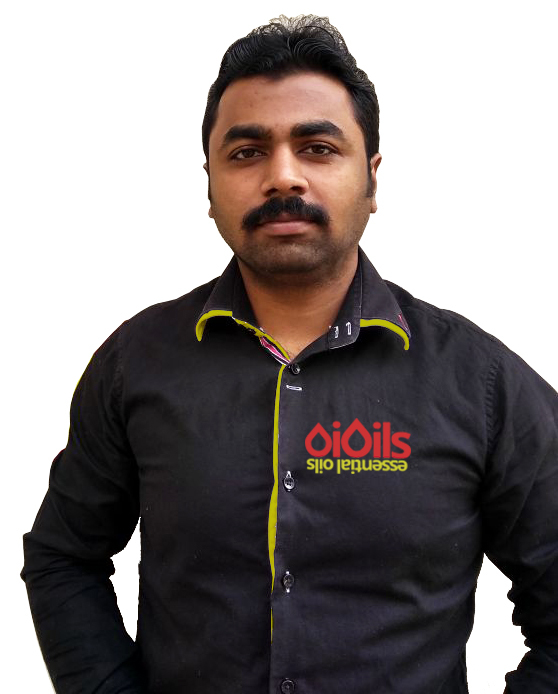 Oioils is Bangalore based startup founded by Vijay GopalKrishna and Abhinav, it is India’s first Mosquito repellent with 100% essential oils and zero chemicals. They do not use harmful chemicals, Alcohol or DEET which is a skin cancer-causing chemical. Their product is natural and doesn’t not have any side effect on skin or body. We got an opportunity to talk with Vijay, one of the co-founders of the Oioils. And I am sure; his startup story will inspire you. Look at the journey of Vijay as a co-founder. See what how he has worked hard to provide the best. Vijay GopalKrishna: One of the Co-founder of Oioils. As a child, I suffered from pneumonia & bronchitis until the age of 14 years old, as a matter of fact, I have passed my 1st and 2nd standard purely based on Medical certificate, only at the age of 22 I understood that, the main reason why I had such horrible health issues and that too in main summer was due to the mosquito coil which was used extensively at our house as it was cost-effective and easily available. That was the day I thought that there has to be a better product in market which does not contain chemicals and that was the problem I had to solve, finally I can proudly say, that me and my team has not only solved the problem, we have found out a better solution at an affordable price, which is accessible to a lower middle-class family like mine. I belong to a lower middle-class family, born in a tiny village in Karnataka state, Gauribidnur taluk, my father was working in Indian Airforce due to which I got the chance to travel different parts of India, Education wise I was really poor, as most of my primary education was less in school and more in command hospital (Miltary Hospital), which affected greatly on my writing and grammar skills but my memory power was really sharp, I pass all the oral exams and test conducted in class. In 7th my father moved back to Bangalore and from 7th to 10th I completed my schooling at Kendriya Vidyalaya Hebbal and than for 1st and 2nd PUC I went to S.Y.A Collage, Sanjaynagar Beleive it or not, I have written 2nd PUC exam 8 times, after failing the 2nd puc exam for the 1st time I decided that I have to get into the course which did not require a lot of writing or grammer, sinice childhood I was passionate about two things, agriculture, and animation, so I joined aimation diploma course at IMAGE Institute and then for advance visuall effects I joined MAAC, while I was in MAAC, a close friend of mine informed me about job opening at NID (National Institite of Design) and from that day to the next 5 and half years I work with NID and I got the chance to travel many Indian states as I was one of the sernior emplyee in the documentation team as a lead videographer, one of the most common issues me and my team faced while travelling was mosquito, each state I visited I encountred different size of mosquito and it was the biggest concer while travelling as we didnt wanted to fall sick as each documention visit will be atleast 15+ days and I started thinking really strong about sloving this issue. During my research I found out about CIMAP (Central Institute of Medicinal and Aromatic Plants) , I took one day leave and visited the campus and the same day I paid about for a short term course about Medicinal and Aromatic plants, where I learnt entirely about how to make product from medinical and aromatic plants, once I completed my course I was looking for an oppourtinity to prove my skills and to make my idea into an acutal product and when I was looking for a chance I came accross Mr Sanjeev Patel (investor) and thats how the journey begain. Oioils has two offices, one is the manufacturing unit and the other one is the front office, our manufacturing unit is it Dharward, my other partner Mr Abhinav is the in charge of manufacturing as he is closely associated with UAS (University of Agriculture Science) campus Dharwad, which has one of the top state-of-the-art laboratories in India, his connection with the experts from UAS Dharwad has helped us and guided us in critical times. Our other office is in Bangalore, its a great advance point for any startup to have a physical presence in Bangalore as its the startup hub of India and also for the potential clients it is easy for them to walk into our Bangalore office to discuss our products and services. As a startup, the biggest challenge is to make sure that our product reaches all the needed people, every minute I only think about, how can my product reach to the people who are in need of such a product, people who are using chemical based product and does not know that a totally chemical free product is just around the corner and also in their economical reach, this is what keeps me awake at night and also the same though gives me a push in the morning to perform better than yesterday. Our biggest competitor is Godrej and to be really specific a product of them called Godrej rollon, their product is 8ml, single purpose, chemical-based cost Rs 75 and our product is 20ml, multipurpose, 100% Natural, zero chemicals, Rs 80 and last 50 days. As per our research, there is no product like ours, so every other product on the market is our competitor, there may be other product which is made out of essential oils but there is no other product on the market which is 3 in 1 multipurpose, which can be used on Body, fabric & air. How hard is it to have a work-life balance as a startup founder and how do you manage it? The whole point of having a startup is to do what we love and we do what we love it doesn’t seem like work anymore but in my case, it was slightly different, as before oioils was a full-time thing, it was really tough to manage the jobs, my day will start at morning 5:30 am to evening 7 pm, that’s my 9 to 6 job and then from 8 pm to sometimes night or earlier morning 2 to 3 am. Between my 9 to 6 job and oioils, I was also doing roof top gardening consultancy, contract farming consulting and web design, all these extra works to make extra bucks so that I can buy raw material for the product, sometimes I had to buy raw materials from out of India and that’s when I realised my 9 to 6 salary will not be sufficient as I had to family to take care and I cant spend all the money on oioils, so that period was really really tough to manage but thanks to my family who understood that I was working on something big and without their support it would not have been possiable to come such a long way. Yes, we have raised funds, Mr Sanjeev Patel from OG Plus services is the key reason why our idea has become a reality an actual product, we won’t be able to disclose the amount as this movement but it’s not only the funds we have got but also his expert guidance in every step of the way. What’s the biggest misconception people have about you? Why do they have that? What’s the reality? Frist, as most Indian customers only believe in branded companies and product as they have a famous celebrity endorsing their product and the market today demands that a startup should also be able to market similarly which is not possible by all.Secondly, they believe a mosquito repellent can only be made out of chemical for effectiveness and essential oils are not effective but time and again we have proven that our product works better than chemical based product and also last longer compare to the chemical base product. Third, people have stopped believing the words ” Natural” & “Organic”, the shopkeepers I visit, they say “sir, every other product is market today says, they are made out of natural or organic raw materials, so how can we sell your product based on the label”. It’s a genuine question and at that movement, I take out one of our product as spray it in my mouth, I tell the shopkeeper, if any of other companies which claim they are 100% natural and organic can do this, then you don’t need to buy the product from me. EVERYTHING, since the day I had the idea to make an all-natural mosquito repellent, I have always dreamt of how my company should be and it is how I planned it to be, it a group of 3 young individual and huge positive energy to drive our company as a team. I don’t think I could have asked for a better team than what I already have. As we are a startup, I am not sure when the day starts or when it ends, 24/7 the only thought that comes to my mind is, what do I do, so that my product reaches maximum number of people who are looking for a product like mine and also we spend a lot of our time educating people about the negative effects of chemicals and how it can not only affect us but it can affect our generation to comes, so when I wake up every day with a basic plan in mind to reach more people than yesterday and before I got to sleep, I make sure I did my best today from yesterday. Tell us about your team and how did you meet each other. It’s a long story but I will try to keep it short 😉 When I was into Contract farming, I used to post on social about the raw materials I have and one day Abhinav saw one of my posts and called me regarding Tulsi leaves he needed for one of his products and from that day onwards we were in regular contact with each other, he possess post master degree in Biotechnology from Bangalore University, having PG diploma in IPR and he was recognised as a Food Safety Supervisor from fssai. He has expertise in herbal formulation, neutraceuticals, molecular biology, food technology and Agri-biotechnology. One day I told him about my idea and asked him if we wanted to be a partner with me and he said yes. Since that day which is about 2 and half years ago we have been working at a team to sort out all the issues we encounter. After we formed a team, we were desperately looking for a person with experience with global market trends for our product and we were looking for guidance on how we do add uniqueness to our product apart from the formula is has and that’s when we met Mr. Sanjeev Patel, not only that he guided us but after using our product he even funded us and last year August we launched our product. Oioils Inda’s 1st and only 3 in 1 Mosquito repellent made out of 100% essential oils, NO chemicals, alcohol or DEET.